Under-representation in archaeology takes many forms: it can relate to gender and ethnic diversity, but it can also refer to different types of archaeology, such as academic versus contract, general versus specialist, or to types of research theme, such as ‘big issues’ versus more detailed studies. Issues of under-representation, in various guises, have taxed me through my career in archaeology. That career began as a female, prehistoric ceramics specialist working in UK Contract Archaeology, followed by various university teaching and/or research posts. With a knowledge of both commercial and academic archaeological employment contexts and traditions of enquiry, it seems to me that UK frameworks of archaeological employment, study and research remain retrograde in failing to evenly support the working lives of all archaeologists in equal ways. The spectrums of expertise and research frameworks that archaeology can potentially encompass are not all equally facilitated. Quite simply some approaches, styles of archaeology and skills tend to be more highly valued than others. Dominant modes of research and interpretative frameworks, be they choices of individuals, or relating to projects or institutional traditions, have some role in influencing what is traditionally supported by academic, grant-giving and professional structures. It is important to assess the extent to which such structures have differentially privileged specific forms of research and career trajectories. There has been a tendency to create binary oppositions such as between what might be characterised as focused, ‘big issue’ research that speedily accretes a clear trajectory and perhaps a career of diverse, albeit possibly complimentary pathways, which moves at a more patchy pace. Differing approaches should not be in competition with each other. Questioning prevailing assumptions and maintaining multiple perspectives should both sustain more diverse and nuanced career trajectories and be more accommodating of personal circumstances, diversity of skills, and different ways of ‘doing things’. Likewise, the co-existence of multiple interpretative strands and work traditions maximises the skills and situations of all contributors to archaeology and leads to a richer understanding of the human pasts that they are engaged in understanding. I would hope that these statements are self-evident, but such an ethos necessitates more than just ‘letting things be’. It requires alertness to what and who is underrepresented in the working structures, foci and interpretative frameworks of contemporary archaeology. It aims for a greater richness and diversity in practicing archaeology and in accommodating what archaeology can do. This is the basis of what is briefly touched upon below using only some selected areas of concern. I hope that respondents highlight other areas and experiences that are embedded within archaeology, that may lead to obstacles in career progression, or difficulties in their professional career. It can be difficult to avoid over-simplification, caricature, and generalisation of what is under-represented in the archaeological workplace. A combination of the generic and the specific, in personal and work contexts, determines the profile of individual career trajectories, institutional human resource profiles and prevailing research agendas. It is perhaps too easy to dismiss views drawn from recurrent types of anecdotal statements, particularly if t­­­­­­hey concern individual experiences that are difficult to collect statistics on. In some cases we can be struck by their longitudinal recurrence and their impact of creating a ‘chilly climate’ for particular constituencies or types of research (Wylie, 1993). Raw statistics for more refined, context-specific data are scant for assessing the representation of diversity in the archaeological workspace. Over twenty years ago, the Institute of Field Archaeologists’ Opportunities in Archaeology Working Party (1991) and their Equal Opportunities Working Party (Morris, 1992) were the first surveys to actively generate statistics on the UK range of jobs in archaeology and the profile of practitioners in archaeology and their associated salaries. These surveys were built upon in Profiling the Profession (Aitchison, 1999) and since then English Heritage has commissioned archaeology labour market surveys on a five–year cycle (Aitchison & Edwards, 2003; Aitchison and Rocks-Macqueen, 2013). 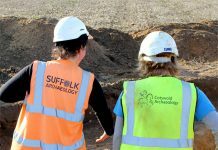 Indisputably, UK Archaeology, including both Contract and Academic Archaeology, is becoming numerically a female profession. In 2012–13, 46 per cent of archaeologists in the UK were women and this can be tracked as a steady increase of 35 per cent over a 16-year period (Aitchison, 2013: Tables 68 and 69). Today, most students studying archaeology are women. At UCL’s Institute of Archaeology (IoA), 60 to 70 percent of degree students at each level of undergraduate, Masters, and postgraduate research, are female. These figures have been pretty constant over that last two decades at the IoA. 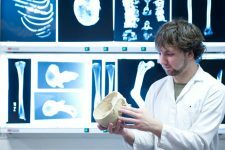 At the same time, recent UK university research-based archaeology has seen a growth in the number of post-doctoral staff on short-term contracts, typically two to four year-long, variously funded by the AHRC, NERC, Marie Curie and other award-giving bodies. Currently at the IoA there are more than 30 members of post-doctoral staff, 57 per cent of which are female. This proportion stands in sharp contrast to the 27 percent of permanent IoA academic staff who are female. More widely, it is also striking that the majority of UK professional archaeologists currently under 40 years of age are women. Indeed, it is likely that within the decade women will make up the majority of the UK archaeological workforce (Aitchison, 2013: 95, 97). Thus, the issue is not the numerical under-representation of females in archaeology as a whole. It is rather that of a continuing gender imbalance in the achievement of permanent employment (particularly in academia), in access to career progression, and in the achievement of higher-level positions and pay. Overall 20 percent of Professors in UK academia are women (Grove, 2013). Archaeology has dragged behind significantly in this respect. Over the past decade females on average have constituted 12 percent of the UK professoriate (Higher Education Statistics Agency, 2014). Individual university departments of archaeology vary in this respect, and in smaller archaeology departments changes of one or two staff members can significantly alter their gender and skills profile. The IoA however is a large department and currently 27 percent of its permanent academic staff are females and this figure has never been higher than 31 percent, since Ruth Whitehouse started recording it in 1993; of these 38 percent of Lecturers are female, while 41 percent of Senior Lecturers, 17 percent of Readers, and 11 percent of Professors are females. Pitts (2010) and others have highlighted the perceived and real gender imbalances in male/female vocalism at archaeology conferences, authors contributing to comment pages of popular journals such as Current Archaeology, acclaimed publications, and in the stereotyping of the suggested most effective qualities of management and leadership (Hamilton, 2007: Table 6:13; O’Sullivan, 1991: 252). It is also likely such inequalities in the success, or otherwise, of different types of archaeological profile are not exclusively associated with one gender. This means that there would be a wider benefit to working archaeologists as a whole from valuing different, lower-profile approaches. Recently, working towards a balanced gender representation of images of distinguished persons who have contributed to the development of the IoA. An increased focus on mentoring post-doctoral staff, tailored towards supporting diverse career agendas. Previously, visual representation of the women who contributed to the development of archaeology at the IoA was restricted to a lone bronze bust of Margaret Murray, kept in a stack corridor of the IoA Library. This stood in striking contrast to a number of prominently displayed, mostly gilt-framed, portraits of previous male directors/other male professors and two bronze busts of the same. Collectively these created a somewhat negative climate for female staff and students alike. There is now a hung framed photograph of Kathleen Kenyon in the staff/research student common room. A copy of an original watercolour portrait of Margaret Murray (which malingers in a UCL store), and a photograph of Ione Gedye are currently being framed. 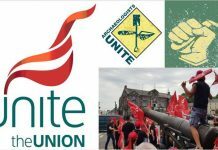 Alongside these actions listed above, the IoA’s annual World Archaeology Festival, which takes place over one June weekend at the IoA and in the adjacent Gordon Square, adds to our institutional sense of an inclusive environment. 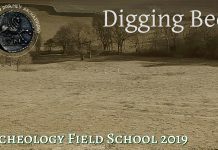 The festival brings together IoA staff, their family and friends, IoA alumni and members of the general public to share a diverse range of practical archaeological activities and demonstrations. 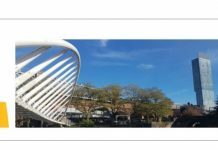 Other suggestions that we hope to take up in the near future include aligning our ‘Reading Weeks’ with school Half Terms and introducing an annual IoA ‘family and friends day’ for a working day during term-time. 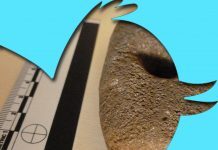 We are also perhaps beginning to have a tradition in our IoA Archaeology International of including occasional articles on archaeology’s under-recognised practitioners and topics. Ruth Whitehouse’s (2013a) article on Margaret Murray is certainly a good start. We also intend to monitor the ethnic/age/male/female categories of applicants for full-term academic jobs in the department, versus the make-up of those that are shortlisted/employed. So few positions come up however, and achieving significant change in for example female/male ratios of permanent academic staff seems like a long-term project. In addition to using the broad categories of information that Higher Education Statistics Agency and Profiling the Profession produce, monitoring of statistics is important at a workplace, departmental and institutional level in isolating institution-specific helpful actions, such as those listed above. Undertaking such monitoring has traditionally fallen on specific groups, such as the IoA’s Women’s Forum, in spite of the mainstream importance of the issues involved (Morris 1992). Many statistics can be publicly accessed, such as the information that can be gleaned from staff lists on websites. More nuanced data is probably centrally held by institutions and could be provided at a ‘departmental level’ in an anonymised form. Anonymous statistics on career progression rates, with respect to males/females/ethnic minorities and people with disabilities through the grades of e.g. Lecturer, Senior Lecturers/Readers and Professors and their associated point position on the salary scales, would also allow for better assessment of possible entrenched inequalities in career progression. One suspects that there are inequalities in speed of progression for example of staff who have particular types of research/administrative profiles and staff who have shared or had greater family duties, be they women or men. It would help to be at least better informed concerning what is lacking recognition and support in such contexts. Broadly, in the profession as a whole, Profiling the Profession notes that, on average, men earn more than women and that there is a clear correlation between age and earnings, and more male archaeologists being in the older age bracket (Aitchison and Rocks-Macqueen, 2013: Tables 73, 99 and 100). It remains to be seen whether the current predominance of females amongst younger archaeologists results in equally high salaries for females when they reach an ‘older age bracket’, or indeed whether a significant proportion give up hope of career progression or even leave the profession. It can be illuminating to plot the parallel administrative/teaching/research/fieldwork/personal-family life timelines of an individual career in archaeology (Pearce et al., 2008). For some, this will certainly be out of synchronisation with, for example, ‘the strong publication record for stage in career’, which is a desirable or essential criterion of the specification most positions advertised in academia. It is however encouraging that recent UK Research Assessment Exercise/Research Exercise Framework have made allowance for career gaps related to maternity leave, illness, etc. by asking for fewer publications, but with no reduction in the standard required. Other issues may also play their part; not just work/life issues but types of research or institutionalised expectations that make certain types of personality or skill achieve recognition or promotion quicker. These issues of course are not unique to archaeology. However, certain types of archaeology and personal spatial, contextual and temporal circumstances can accommodate or militate against particular career trajectories. For example, extended periods of field research or a necessarily long commute to work due to the general rarity of archaeological posts, will be affected by the particular circumstances of an individual’s family/home life. There are many forms of the lack of diversity in those contributing to discipline and profession of archaeology that we have hardly tackled. It is particularly striking that 99 per cent of working archaeologists in the UK are white, while the UK population has become more ethnically diverse (Aitchison and Rocks-Macqueen, 2013: Tables 77 and 78). The make-up of students taking archaeology as a first degree, and hence its subsequent practitioners, comprises a low socio-economic diversity and a virtually non-existent ethnic diversity. Archaeology is not renowned as a high earning profession and is an unattractive option to those hoping to progress financially or lacking a financial ‘net’. 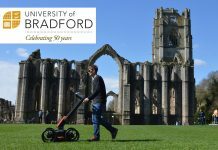 This makes it important to maximise the potential value of an archaeology degree in securing financially viable employment both within and outside archaeology. 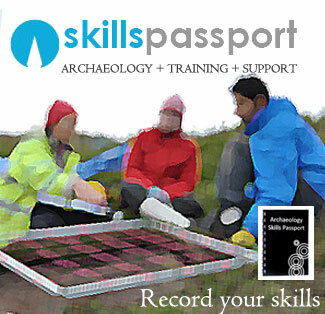 In fact archaeology indisputably provides a wealth of skills of wide employment relevance. The subject matter of archaeology affords its graduates perspectives of relevance to an exceptionally broad range of contemporary working and social contexts. Making archaeology more overtly relevant to students from a wider range of socio-economic and ethnic backgrounds is key to broadening the make-up of those studying the subject. The striking absence of people from ethnic minority groups volunteering on UK archaeological projects epitomises the perceived lack of community-wide relevance of archaeology (Aitchison and Rocks-Macqueen, 2013: Table 88). To be more fully relevant to society, the contribution of archaeology to understanding diverse cultural contexts and technologies needs to be given greater prominence and publicity. At a university level archaeology departments need to have more outwardly reaching websites and agendas. The introduction of ‘Impact Statements’ into the 2013 Research Exercise Framework has been seminal in making us review the possible range of contributions of ‘our’ research to the communities of the wider world. Hopefully, the dissemination of ‘Impact Statements’ will provide a growing resource to better assess how diverse and relevant, in practice, our work is beyond the discipline itself. As with any discipline, there are historic, changing biases in the recognition of particular research and career trajectories in archaeology. 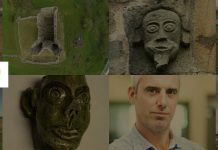 These not only affect the archaeologists concerned but equally the broadness of archaeology and what it can contribute to the past and present understanding of cultural constructs. It has to be healthy for archaeology as a discipline to actively challenge stereotypes and stereotypic dichotomies. This is all the more the case because a large number of these are exclusive in being derived from prevailing, Western precepts. Archaeology, for example, abounds in archetypal correlations of what constitutes ‘women’s work’ versus ‘men’s work’. Recurrent examples include the ‘warriors and weavers dichotomy’ (Ballard, 2007) and the female-gendered associations of food preparation and cooking versus male feasting. Alongside this, there has been a pervasive attitude that certain skills and crafts, often attributed to women, were necessary and worthy, but did not require special skills and thereby did not accrue prestige (Rodríguez-Alegría and Graff, 2012). Unchallenged, the existence of such values and assumptions will inevitably impact in some measure on the support and prestige that their research accrues – irrespective of the quality of the research. No crafts, materials and activities are of course per se gendered male or female in their associations. Cherrie De Leiuen (2013: 619) for instance highlights how in Australia the making and use of stone tools, which has been long considered as a male activity, when re-examined by female researchers has resulted in profiling several traditions, across Australia, New Guinea and Tasmania of indigenous women making and using stone tools and that it should not be presumed that woman have less skill in stone manufacture or use of stone tools than men. An archaeology than includes a gender agenda draws out different patterns of information. Textile research, for example, historically has been, and indeed remains dominated by women (Sørensen, 2013: 397). Recent research, predominantly but not exclusively by females, has realised the mainstream importance of textiles for understanding social complexity. Textiles and cloth in all their various forms are indisputably important to how the majority of societies functioned practically, socially and economically and are very much part of the sensory world of humans (Harris 2009). Margarita Gleba’s work on the archetypal female craft of textile production, for example, highlights the intense level of specialised textile production in Iron Age Italy, its association with females of high social prestige, and the concurrent significant ritual associations of spinning and weaving (Gleba 2008, 2011; Whitehouse 2013b: 493). This work has culminated in Gleba’s ERC PROCON project, which considers the role of textile economies and their association with urbanisation on a broad spatial scale of Mediterranean Europe in the period 1000–500BCE. Another example of re-situating an under-profiled topic is Karen Wright’s (2000) work on ‘The Evolution of Food Preparation Techniques and their Social Implications’. This on-going work highlights the profound importance of food choices, food processing, meal preparation and dining traditions to social life as a whole, and the associated changes in how early farmers and subsequent city dwellers prepared and consumed food. It can be argued that food and cooking or the role of textile economies in the development of cities are each as big a global theme as say ‘the origins of agriculture’, but traditionally these subjects have not received recognition on the same grand narrative scale. The examples given in this section fuel a more general argument that different categories of research have been and are valued differently, independent of their demonstrable importance. Such thankfully increasingly challenged, value structures of archaeology, can prefer or exclude specific categories, personalities and research interests of individuals and in doing so inevitably impact on the diversity and balance of the insights that we can gain into the past. Archaeology’s so-called ‘specialists’ notoriously fall prone to prevailing systemic hierarchies that value particular skills and knowledge over others. Kenneth Aitchison’s 2000 and 2011 reports on specialists in UK archaeology list Photography, Report Production, Survey, Archaeological Illustration, Finds Study, Conservation, Environmental Study, Archiving, Historical Research and Physical Dating as specialisms. 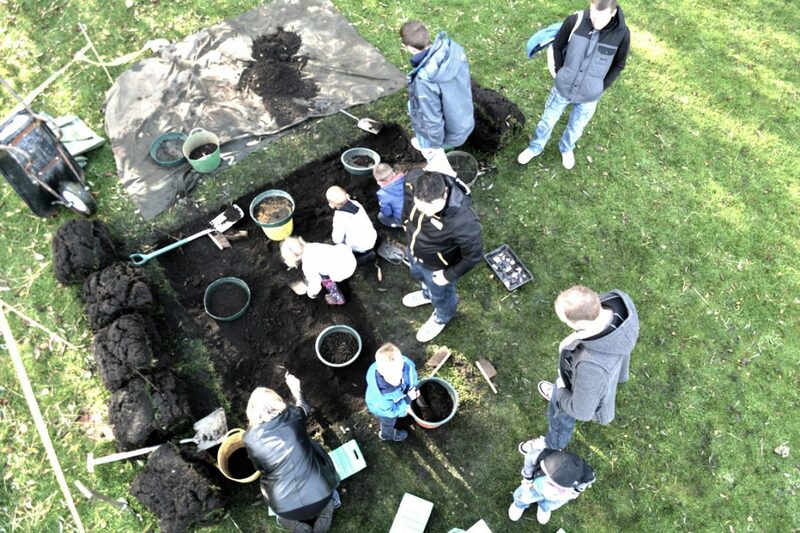 The 2011 report states that the average age of an archaeological specialist in the UK is 47 years old. This suggests that there is a declining intake into the specialist workforce. This is confirmed by the recent observation in Profiling the Profession that there is a serious skills shortage in contract archaeology, particularly in the area of post-fieldwork specialist work (Aitchison and Rocks-Macqueen, 2013). Here, there appears to be no numerical gender disparity; some 50% of archaeological specialists are male and 50% are female, although this proportion varies according to specialisms. 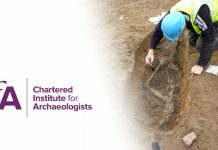 Archaeological specialists in UK commercial archaeology are well qualified; 95% are graduates and 70% hold at least two degrees. 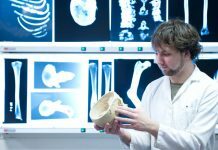 The report however makes grim reading regarding the pay and perceived lack of recognition and promotion prospects for contracted archaeological specialists. Individual specialists also comment, in the 2013 report, on their lack of personal authored publications, with most of their work ending up as Appendices in the ‘grey literature’. Archaeological research has moved from seeking the similarities and universals that were central to the processual archaeology of the 1970s and 80s, to a greater focus on context, diversity of perspectives and on the particular. While it would seem that many specialists in UK archaeology and their accompanying skills are under-valued in contract archaeology, ironically the same skills are, with this shift, rather central to informing contemporary archaeological interpretation. 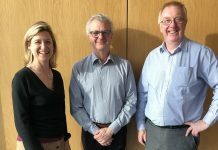 There is a renewed demand for the development of practical skills within theory-based and research-led teaching. At the IoA this rejuvenation is evinced by the popularity of undergraduate courses in archaeological photography, organic materials in prehistory, photography, archaeometallurgy, archaeological ceramics, lithic technology, and archaeological surveying and an MA in Artefact Studies. The rift between the work of ‘specialists’ in commercial archaeology and the powerful contribution of specialist data and skills to the interpretative frameworks of research-based archaeology is real but patchy. A successful model for mainstreaming the perspectives and knowledge of UK specialists within broader archaeological narratives was the landmark book Prehistoric Britain: Ceramic Basis. All the authors were members of the Prehistoric Ceramics Research Group, and a large number of them working as ceramic specialists in commercial archaeology. The volume provides broad, enlightening perspectives on the social life and associated ideological structures of Prehistoric Britain, drawn from cumulative work on pottery assemblages by period specialists (Woodward and Hill, 2002). By contrast, a more persistent contemporary sidelining of specialist expertise includes the case of archaeological illustrators. Archaeological illustrators, as commissioned archaeological specialists, have left an enduring record of some of the most important objects in archaeology in a way that text alone cannot (Dobie and Evans, 2010: 1). The wider role of images in dynamically portraying the complexity and diversity of archaeological information has been an increasing consideration in archaeological theory and practice over the past fifteen years (e.g, Tilley et al., 2000). Yet, outside research-orientated ventures archaeological illustrators, artists and photographers have little opportunity or workplace facilitation towards actively experimenting with their images or of breaking the mould of traditional publication formats (Hamilton, 1999, 1996). This in some measure dis-enfranchises the specialist illustrator as an active participator in the broader construction and critique of archaeological knowledge through visual representation. To thrive, archaeology, perhaps more than other disciplines, needs to encompass diversity. This is necessary to better learn from and about the past, and to provide critical perspectives on the multiplicity of cultural contexts in the present. We cannot maximise our achievement of this while there are entrenched imbalances in the range of approaches, topics and individuals that we facilitate in academic and commercial archaeology. Of course some disciplines may be the same or worse than archaeology. However, our record is not exemplary for a field that encompasses the pasts of all people. Given the current scale of recognition of the diversity of what archaeology is about, I am optimistic that ‘under-representation’ in archaeology will be improved. This however, needs the interventions of continuing critique, monitoring, and supporting measures. Historically, positive change with respect to some of the issues here highlighted is not automatic. (http://creativecommons.org/licenses/by/3.0), which permits unrestricted use, distribution, and reproduction in any medium, provided the original work is properly cited. Copyright is retained by the author(s). Aitchison, K 1999 Profiling the Profession: a survey of archaeological jobs in the UK. 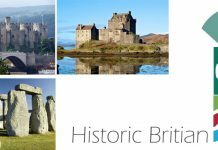 London and Reading: Council of British Archaeology, English Heritage and Institute of Field Archaeologists. Aitchison, K 2000 Survey of Archaeological Specialists. Sheffield: Landward Archaeology. Aitchison, K 2011 Survey of Archaeological Specialists 2010–11. Sheffield: Landward Archaeology. Aitchison, K and Edwards, R 2003 Archaeology Labour Market Intelligence: Profiling the Profession 2002–03. 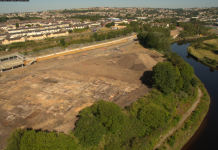 Bradford and Reading: Cultural Heritage National Training Organisation and Institute of Field Archaeologists. Aitchison, K and Rocks-Macqueen, D 2013 Archaeology Labour Market Intelligence: Profiling the Profession 2012–13. Sheffield: Landward Research. Ballard, S 2007 Warriors and Weavers: constructing British Iron Age Identities in Museums In: Hamilton, S, Whitehouse, R D and Wright, K I eds. 2007 Archaeology and Women: Ancient and Modern Issues. Walnut Creek California: Left Coast Press, pp. 167–184. Dobie, J and Evans, C 2010 A History of the Ancient Monuments Drawing Office. London: English Heritage. Research Department Report Series 33. Gleba, M 2008 Textile Production in Pre-Roman Italy. Oxford: Oxbow. Gleba, M 2011 Textile tools in Ancient Italian Votive contexts: Evidence of Dedication or Production? In: Gleba, M and Hornaes, H W eds. 2011 Communicating Identity in Iron Age Italic Communities. Oxford: Oxbow, pp. 69–84. Hamilton, S 1999 Lost in Translation. A comment on the excavation report. Papers from the Institute of Archaeology 10: 1–8. Hamilton, S 2007 Women in Practice: Women in British Contract Archaeology In: Hamilton, S, Whitehouse, R D and Wright, K I eds. 2007 Archaeology and Women: Ancient and Modern Issues. Walnut Creek California: Left Coast Press, pp. 121–146. Harris, S M 2009 Smooth and cool or warm and soft, investigating the properties of cloth in prehistory In: Andersson Strand, E, Gleba, M, Mannering, U, Munkholt, C and Ringgaard, M eds. 2009 North European Symposium for Archaeological Textiles X. Oxford: Oxbow Books, 5pp. 112–140. Higher Education Statistics Agency 2012/2013 https://www.hesa.ac.uk/stats-staff. Accessed June 2014. IFA Opportunities in Archaeology Working Party 1991 Women in British Archaeology. The Equal Opportunities in Archaeology Working Party Report 1991. The Field Archaeologist 15: 280–82. Morris, E ed. 1992 Women in British Archaeology. Birmingham: Institute of Field Archaeologists. Institute of Field Archaeologists Occasional Paper 4. Pitts, M 2010 Where are all the women. 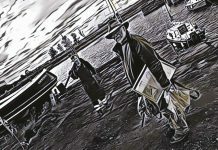 Digging Deeper, Thinking about Archaeology, http://mikepitts.wordpress.com/2010/04/26/where-are-all-the-women/. Accessed June 2014. Rodríguez-Alegría, E and Graff, S R 2012 Introduction, the menial art of cooking In: Rodríguez-Alegría, E and Graff, S R eds. 2012 The Menial Art of Cooking: Archaeological Studies of Cooking & Food Preparation. Boulder: University Press of Colorado. Sørensen, M L S 2013 The history of gender archaeology in Northern Europe In: Bolger, D ed. 2013 A Companion to Gender Archaeology. Chichester: Wiley-Blackwell, pp. 396–412. Whitehouse, R 2013b Gender and Italian Archaeology In: Bolger, D ed. 2013b A Companion to Gender Archaeology. Chichester: Wiley-Blackwell, pp. 480–501. Woodward, A and Hill, J D eds. Prehistoric Britain. The Ceramic Basis. Oxford: Oxbow Books. Prehistoric Ceramics Research Group Occasional Publication 3. Wright, K 2000 The social origins of cooking and dining in early villages of western Asia. Proceedings of the Prehistoric Society 66(1): 89–121. Wylie, A 1993 Workplace issues for women in archaeology: the chilly climate In: Du Cros, H and Smith, L J eds. 1993 Women in Archaeology: A Feminist Critique. Canberra: Australian National University, pp. 245–58. 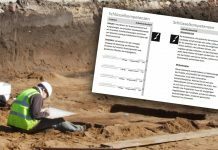 Dendrochronological Data in Archaeology a Guide to Good Practice!